Pure magic, eighteen years of maturation in oak casks has not silenced the vibrant distillate driven orchard fruit and barley but it has has ironed out the other ripples to produce a silky smooth whisky with a heart of sherry that occasionally pulsates with the bourbon, licorice coated with dark chocolate, lush grass, tropical fruit and vanilla that develops into the burst of cherry liqueur chocolates on the finish with a progressively fierce dry oak and coffee cream liqueur in milk chocolate. This whisky is big and confident, oozing with class and bravado but remaining silky smooth and superbly balanced with subtle nuances and almost unnoticeable ripples. It has a dry theme with some luscious bursts of creaminess and ripe fruit. 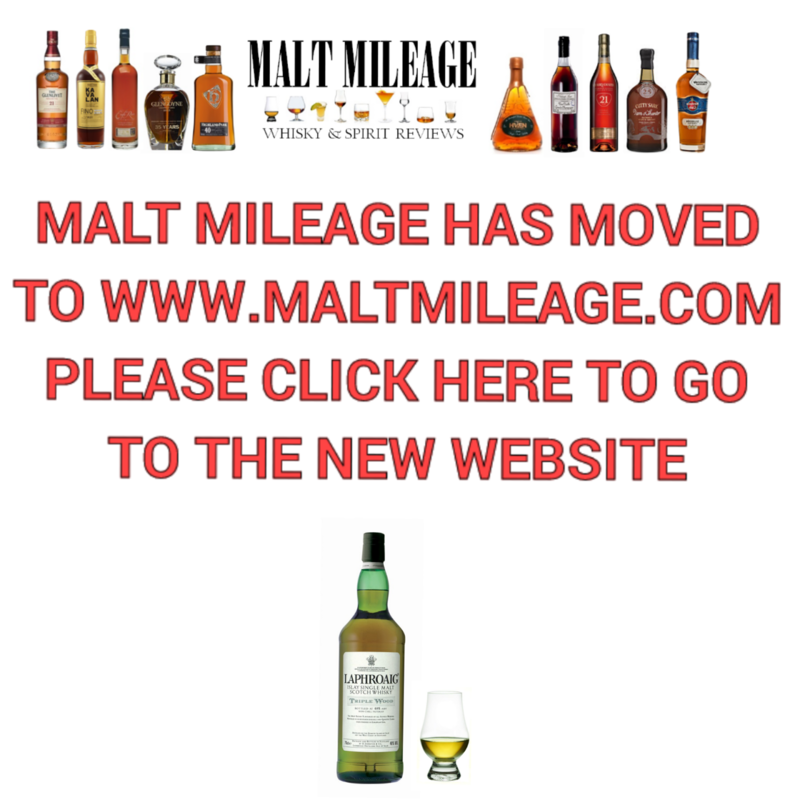 Macallan is among the world’s most popular single malt whiskies, with some stiff competition from the likes of Glenfiddich, Glenlivet and Ardbeg among others. The Macallan 18 Year Old Fine Oak is triple cask matured in ex-sherry and ex-bourbon casks, which means that this fine spirit spends some time in a Spanish oak and an American oak cask that have previously held sherry and an American oak cask that has held bourbon. This is different to the “Sherry Oak” range, which is matured exclusive in ex-sherry casks from Jerez, Spain. With falling demand for sherry, whisky producers are seeing the price of ex-sherry casks increase as they get rarer and rarer. It is more expensive than it once was to mature whisky in ex-sherry casks, which explains the explosion of whiskies on the market that have been matured in ex-bourbon casks. 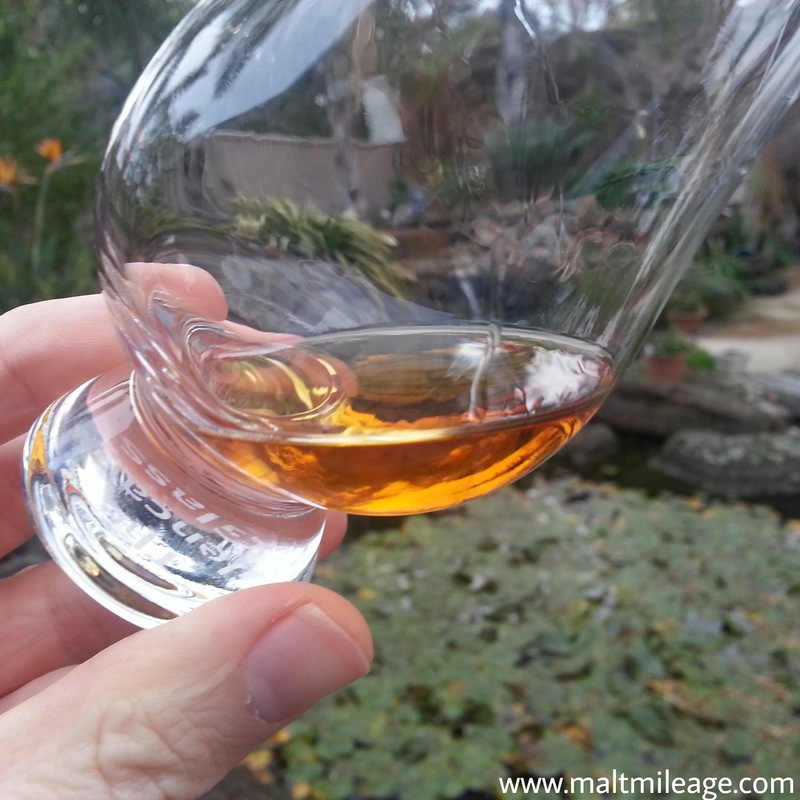 This bourbon influence is obviously present in this whisky, but the high quality sherry certainly shines brightly! Macallan has built a reputation for sourcing only the very best sherry casks from Spain, so sip and savour every drop. There are three things that make whisky from Macallan particularly special: (1) the distillation involves the use of “curiously small stills” which the Macallan says concentrates the flavour of their ‘new make’ spirit; (2) the “cut”, which is the ‘new spirit’ that fills the casks, is typically only 16%; and (3) the casks are of exceptional quality... nosing and tasting the whisky is evidence of that! Nose: What is fascinating about the nose on this whisky is that the distillate driven orchard fruits and barley shine brightly as clear as day, despite the fact that this spirit has spent 18 long years in oak casks; a maturation period which has ironed out most of the ripples but left only the very best aspects of a distillate. This whisky is a pleasure to savour, and its complex nose invites almost endless sniffing as the character evolves and changes in the glass. What is first noticeable is the distillate driven barley with vibrant bursts of orchard fruit: apricot and yellow plums alongside lemons which radiate a gentle citrus that glows with some orange. The orange develops into more intense orange zest, as a beautiful burning sherry, glazed cherry and green mango shines through the musty oak which delivers silken chocolate fudge cake with vanilla bean, banana slices and some notes of bourbon. The bourbon gains a greater presence in the glass as the whisky rests, as rum balls develop; you know, those beautiful pieces of gooey chocolate paradise that are dipped in cocoa, coconut and have at their heart sweet sugary rum. 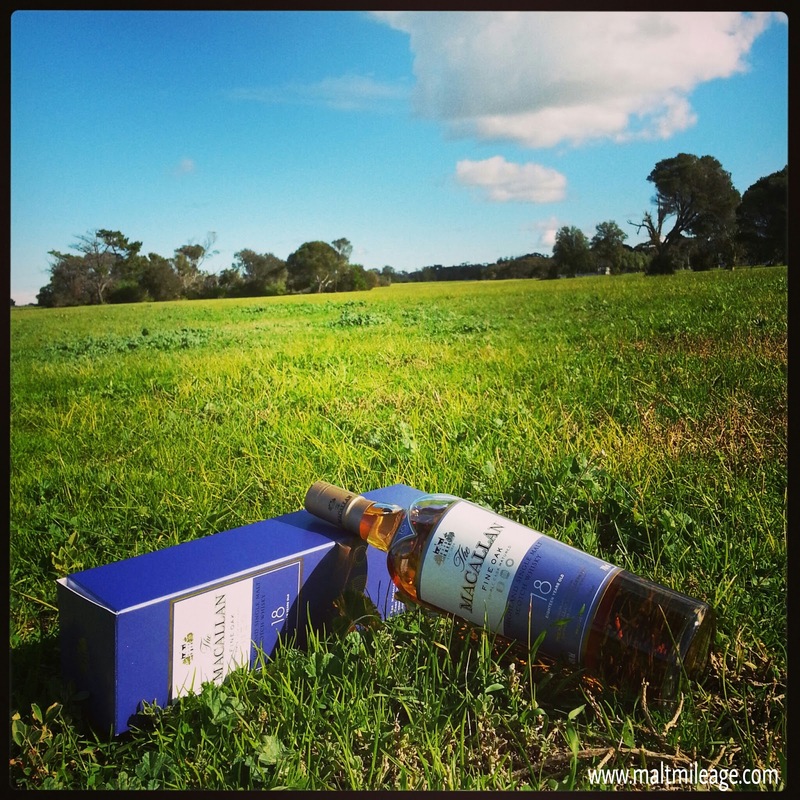 There is lush green grass in the background, quietly giving off a mild earthiness that is accompanied by a floral aroma; beautiful work Macallan! Taste: Luscious and creamy, the whisky hugs the tongue and envelopes the entire mouth as it releases its complex character. A burst of sweet bourbon is washed away by the a wave of sherry that has an oak influence that gradually develops in intensity until the entire mouth is fuming with a dry oaky smoke with grassy notes that occasionally sparks with cocoa, cloves, dry ginger and some fine dry sherry. A thin creaminess remains on the tongue beneath the fog of dryness, adding much needed suppleness as it shines with strawberries and cream confectionary. Finish: Possibly one of the best finishes I have experienced in a long time, the sherry and dry oak warmly illuminates as cherry liqueur chocolates burnt on the palate. Radiating with vibrancy and complexity, this whisky has the best bits of youth and the best bits of age. Sensationally crafted by Macallan, the oak plays its part as it allows the energetic distillate to shine but at the same time irons out the ripples and adds a spicy complexity.